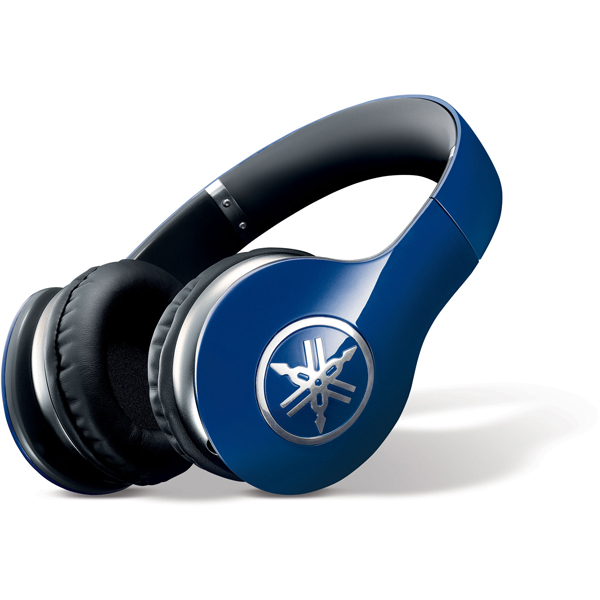 At the top of Yamaha’s new PRO line of headphones, the $399.95 (direct) Yamaha PRO 500 is a formidable beast. At first glance, it may appear to take its cues from the Beats school of design, with a focus on glossy plastic and logos. But the PRO 500 is no knock-off, and it sounds flat-out excellent. Armed with a nice array of accessories and a detachable cable that helps extend its value, the PRO 500 is, nonetheless, not a bargain. It’s a luxury and an investment—but its rich bass and wide stereo field earn it our Editors’ Choice award for high-end headphones. Visually, there is a world of difference between the entry-level (but still pricey) Yamaha PRO 300 and the PRO 500, but it’s all in the details. In photographs, it’s hard to see, but the materials used and the surface finish on the PRO 500 combine to give it a more luxurious look. It comes in black or blue, and the paintjob has a nice two-tone, automobile finish quality to it that’s easy on the eyes. 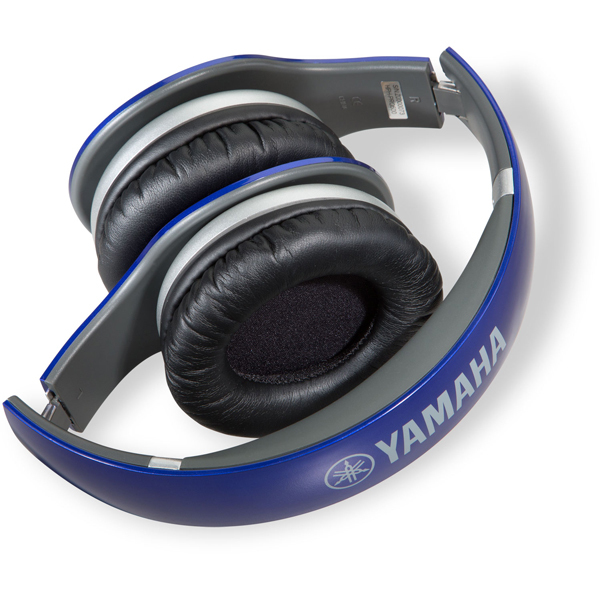 The PRO 500 is also an around-the-ear, circumaural design, as opposed to the on-ear, supra-aural PRO 300. The design differences are not just visual. First off, the PRO 500 is far more comfortable than the PRO 300, but that’s not saying much—the latter is among the less comfortable headphone options we’ve tested recently. So, while the same isn’t true of the PRO 500, it still can feel heavy, or like it’s exerting too much pressure on the top of your head, but this only seems to happen during long listening periods. Adjusting the band a bit can alleviate the issues, which isn’t really the case with the 300. The PRO 500’s ear pads feel more plush, as does the underside of its headband, and the around-ear design works far better for comfort and the overall listening experience than the 300’s large-but-on-ear design. Another improvement in comparison to the PRO 300 is the inclusion of a detachable cable—two, in fact. The PRO 500 includes a cable with a microphone and three-button remote for iOS devices, as well as a cable with no controls at all. Call clarity is pretty par for the course here—you and your call partner will understand each other just fine, but you’re still dealing with cellular audio quality. The contour of the cable is flat, like many Beats models, and feels more durable than a typical audio cable housing. There’s a cable input on each ear, allowing you to choose which ear you want to have it dangling from, and it also creates the ability to connect another pair of headphones to it for audio sharing. 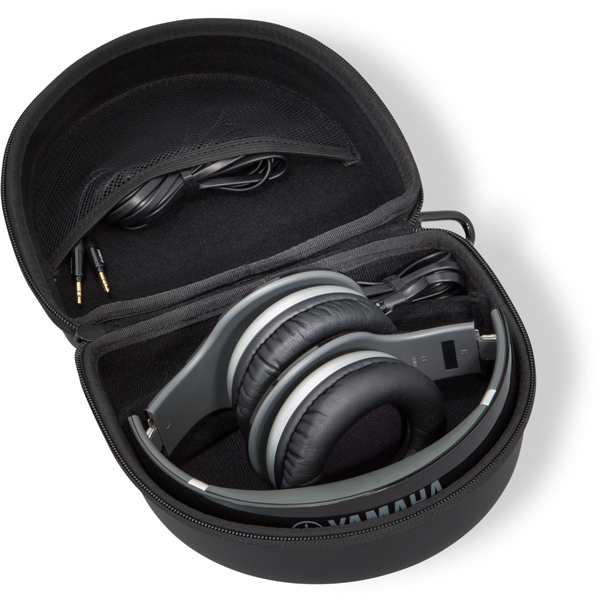 In addition to the two cables, the PRO 500 ships with a ¼-inch adapter, a cleaning shammy, and a rigid, zip-up carrying case. The semi-recessed positioning of the drivers in each earcup helps the PRO 500’s overall spatial performance—treble sounds can feel more directional, providing a seemingly wider stereo field and greater depth to the overall mix than we might hear if the drivers were flat against the ear. As would be expected of a $400 headphone pair, the PRO 500 does not distort on deep bass tracks. Even at maximum, unsafe listening levels, the Knife’s “Silent Shout” and Thom Yorke’s “Cymbal Rush,” two songs that feature different types of extreme bass content, were delivered cleanly. What’s more, the PRO 500 packs a serious amount of deep bass—it’s not so overly-weighted towards the low frequencies that things sound unbalanced, but there is definitely a hefty low frequency presence here. On classical tracks, like John Adams’ “The Chairman Dances,” the PRO 500 provides the perfect combination of low frequency presence and the kind of wide stereo field usually associated with open-back headphones. The lower register instruments don’t overpower the mix in the slightest, but they are delivered with a round bass presence that’s matched nicely by the mids and highs. This means deeper drum hits are both resonant and crisp, and the bowing of the low strings has a nice mid-frequency attack to it, followed by beautiful, rich bass sustain. The higher register strings and percussion also shine—but never too brightly or harshly. There’s perhaps more bass presence here than purists might want, but this frequency response comes pretty close to my personal ideal. On Jay-Z and Kanye West’s “No Church in the Wild,” the attack of the kick drum loop is fierce through the PRO 500, taking on the feel of a club PA system. The treble edge of the attack, the sub-bass thump, and deep bass synth hits underneath it all combine for a powerful and rich delivery, and yet none of this outshines Frank Ocean’s, Jay-Z’s, or Kanye West’s vocals, which are all delivered with a nice crisp edge that keeps the mix from ever getting muddy. Simply put, whether you’re listening to classical music or an intense hip hop mix, the PRO 500 delivers things cleanly, with wonderful attention to each realm of the frequency range. An obvious comparison to the PRO 500 is the Beats Pro by Dr. Dre, which is bulkier and perhaps cooler looking, and designed for DJ use. But both models deliver a similar frequency response, and are worth checking out side-by-side, if you have an electronics store near you that can make it happen. They both offer a serious bass response without going overboard, and while I prefer the PRO 500, it’s easy to see some listeners favoring the Beats Pro. If both of these options are out of your price range, but you yearn for the kind of wide stereo field and rich bass I described earlier, the Sennheiser HD 558 is about as good as it gets under $200, and while the aforementioned Yamaha PRO 300 is uncomfortable, it also offers a very nice sound signature for a lot less than the 500. But quality isn’t cheap. The PRO 500 sounds so good, I feel it’s fairly priced, even at $400. It will make your music, regardless of genre, sound exciting, so it wins our Editors’ Choice award for high-end headphones.